From small weekend errands to big road trip adventures, the Mazda CX-9 is engineered to conquer any commuting need. Whether ascending steep hills or navigating stop-and-go traffic, it rises to the demand with a manual shift-capable six-speed automatic transmission, powerful 273-horsepower V-6 and technologies like stability control. There's also space for the whole family thanks to comfortable second- and third-row seats that provide room for up to seven passengers. And, in spite of its fairly substantial dimensions, CX-9 is fun and car-like to drive. Just ask the editors at Edmunds.com, who recently stated that the SUV's combination of roomy utility and fun-to-drive performance is a "rare breed." See the rest of our 2014 Mazda CX-9 review for more details. As the largest vehicle in the Mazda lineup, CX-9 is the perfect option for midsize SUV shoppers who require a utility vehicle with ample passenger room, as well as the latest technologies. Trim levels include the Sport, Touring and Grand Touring, and all come standard with features like Bluetooth phone and audio, a trip computer, Pandora, cruise control, three-zone automatic climate control and a 5.8-inch touch-screen information display. Several other amenities are also offered as one climbs the trim ladder, including a new-for-2014 rear cross-traffic alert system, which is now standard on Touring and Grand Touring models. Come see the new Mazda CX-9 in Springfield, MO and talk to one of our sales reps for complete details about each model's features. For the truly adventurous type, a Towing Prep package is available on the Grand Touring. It bumps the SUV's towing capacity up from 2,000 to 3,500 pounds, which is definitely handy when taking a boat or trailer on a trip. Other options include the Touring and Grand Touring Technology packages. Contact us for more details about their content! Or better yet, stop by Reliable Mazda to test drive the 2014 Mazda CX-9 in Springfield today and discover all that it has to offer in person. 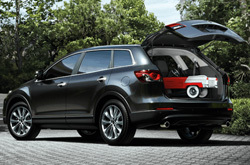 For more information about the SUV, and to watch a video tour, please see the remainder of our Mazda CX-9 review below. 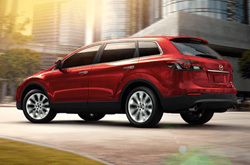 If you've ever thought about purchasing vehicles like the 2014 Chevy Traverse, Dodge Durango and the Ford Edge in Springfield, compare Mazda's new 2014 CX-9 first; we're condifent that it's the right fit for you. 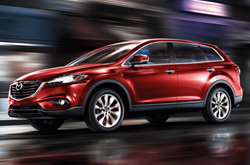 The CX-9's got several positive attributes, including its progressive incar technologies and superb exterior design. 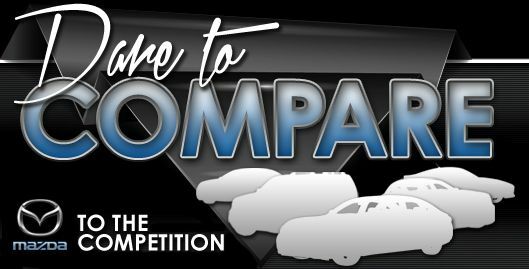 It's a truly outstanding value, which you'll surely see when comparing its price to the vehicles listed above. Look through the CX-9 bullet list underneath this text for more quick facts. To make your car search easier, Reliable Mazda is happy to offer research tools like the 2014 CX-9 review above, as well as reviews of past models. We are a chief Mazda dealer in Springfield, and it's our mission to furnish you with reviews written by some of the top automotive writers in the industry. As you read this article, you'll see that it is stuffed with up-to-date information about all the things you're looking for in the new CX-9 - mpg and other specs included. Thank you for viewing Reliable Mazda's 2014 CX-9 review. Now that you know more about the CX-9, call us to learn about exclusive offers and OEM incentives that can help you save big on your purchase.